An Opinion On Sports: Georgia Football: Does the NCAA Have a Minimum? Georgia Football: Does the NCAA Have a Minimum? The maximum number of total scholarships at any one time for a Division I football program is 85. With attrition of any and all sorts, the University of Georgia now has 74 scholarship players. This number includes 5 walk-ons who have been awarded scholarships. Translated, this means Georgia has 69 recruited players on their current roster. Translated further, this means Mark Richt's program is actually serving a self-imposed probation. The depth chart is now so thin that Dr. Atkins and Jenny Craig should be envious. Put wings on the depth chart and it could walk down a Victoria Secret runway. It is sadly that trim, plus the fact there are several players who much serve one and two game suspensions. 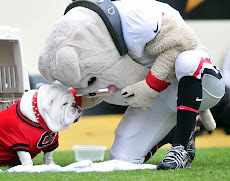 If the Dawgs suffer an unusually high amount of pre-season injuries, much less a season ending one, this situation immediately reaches intensive care proportions. We will just stay with 'extremely serious' for the time being. Now more starters will have to play on special teams, which could increase their risk of injury, and it could be a fatigue factor in the fourth quarter. Georgia will also lose the luxury of perhaps red-shirting a kid they wanted to give more time to develop. 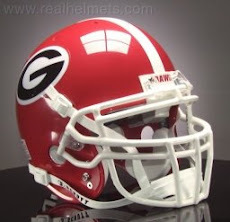 The inventory in the Bulldawg locker room is now so low that it's a matter of if you're breathing, you're playing. The importance of quality and quantity of the 2013 recruiting class has reached epic proportions. 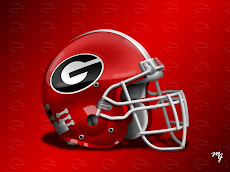 Georgia must rebuild their roster evenly by position and the coaches must take a huge step toward this goal quickly. Even this does not solve their depth problems consistently because they will have such a huge class (2013) on the same eligibility run. Most of the ones who stay for the long haul will all exit the program at the same time. 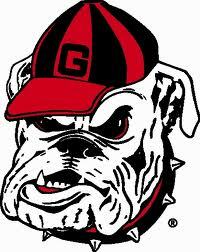 This means that for the next several years, the Dawgs cannot afford to have a 'down' recruiting year. These numbers problems did not happen overnight. If you've followed Georgia recruiting closely over the years, the current predicament can't surprise you. When you combine the factors of under-signing with a high amount of attrition, this is what you get. On the positive side, this year's campaign is certainly not the toughest course laid out in the conference. If players stay healthy throughout the course of the season, Georgia could overcome the obstacles that a thin roster presents. Success breeds success, and thus recruiting becomes easier and better. How this entire situation pans out remains to be seen, but July is already a week old. Translated, that means we don't have long to find out.